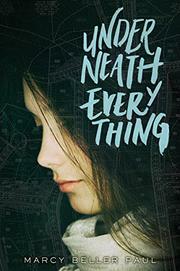 After dropping off the social grid for a year and a half, Mattie decides to attend a party that will change the course of her senior year in ways she never could have imagined. Running into an ex-boyfriend not only rekindles old feelings, but also sets Mattie down a path that will inevitably force her to confront the same friend who drove her to give it all away. Jolene’s power over Mattie is destructive and all-consuming. Only Mattie can decide if the pleasure is worth the pain. Unfortunately for readers, what could have been a haunting story of an obsessive friendship falls flat. Jolene is far too one-sided. Her cruel intentions and manipulations are painfully obvious, and there is absolutely no evidence that she has a redeeming side, making it impossible to understand her hold over Mattie. Even worse, it makes Mattie look weak, and worse yet, references to a sexual attraction between the two feel gratuitous. A painfully slow reveal of what happened to temporarily end their friendship doesn’t help matters, as it is both frustrating and disappointing. It is increasingly difficult to muster up any empathy for Mattie, as she appears to be getting exactly what she deserves, at least for most of the novel.